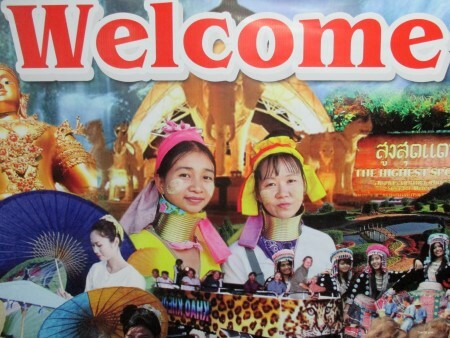 Chiang Rai (เชียงราย) is located around 180 km north-west of Chiang Mai (เชียงใหม่). This small city which used to be the Capital of the Lanna Country is located in the famous Golden Triangle and is renown for its forestry and mountainous landscapes, its temples and the Hill Tribes (Hmong, Karen, Lahu...) who inhabit the area. You might be wondering about travelling from Chiang Mai to Chiang Rai by train. Unfortunately there is no train service up to Chiang Rai and the closest train station is in Chiang Mai. 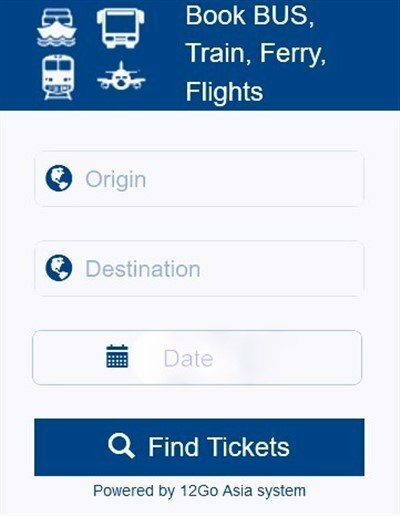 There are plans to connect the two cities in the future if and when the high-speed train service gets built, but for now you will have to go either by road or by air. 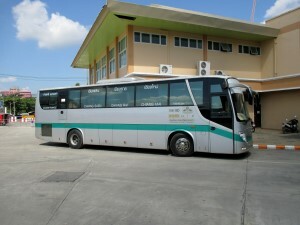 You can board buses to Chiang Rai from Chiang Mai Arcade Bus Station (สถานีขนส่งอาเขต). The station is located on the east bank of the Ping River (around 2 km from the railway station). 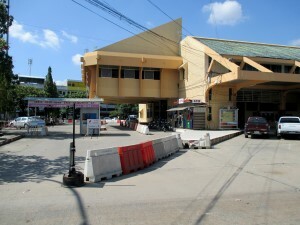 It is sometimes referred by locals as the "Bangkok Bus Station" as it is from where Bangkok bound buses leave. 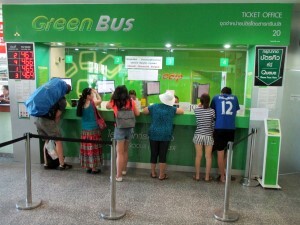 There is only one company that offers bus services to Chiang Rai: Green Bus. It operates from the Terminal 3. The bus trip takes in between 3 hours and 3 hours 30 depending on the kind of bus and the ticket price ranges from 144 THB to 288 THB. For those of you who like planes, you can board one from Chiang Mai to go to Chiang Rai. Flying allows you to cut travelling time to a mere 30 minutes! 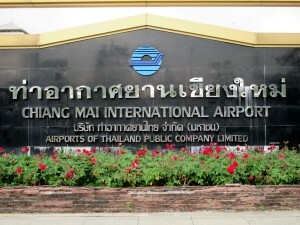 In Chiang Mai the airport is located around 3 km south-west of the city centre. 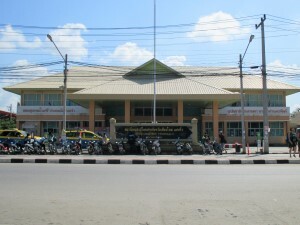 In Chiang Rai the airport is named Mae Fah Luang Chiang Rai International Airport (สนามบินแม่ฟ้าหลวงเชียงราย) and is located around 8 km from the city centre. 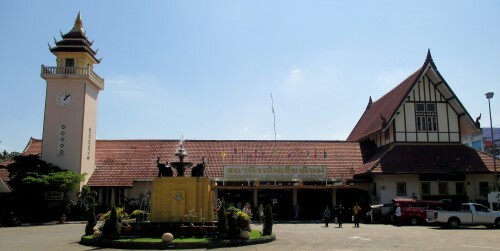 At the time of writing there was only Kan Airlines flying direct from Chiang Mai to Chiang Rai. Ticket costs 1490THB (2980THB for Round Trip) and it is advised to book in advance to be sure to get a seat (especially during high-season). 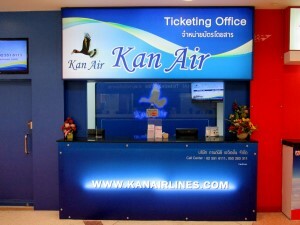 In Chiang Mai, Kan Airlines has an office and a ticket selling counter at Chiang Mai International Airport. 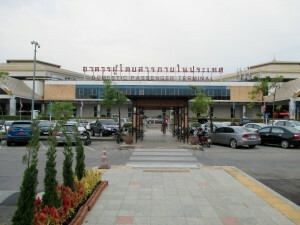 Thai Airways, Thai Smile Air, Air Asia and Nok Air operate direct flights to Chiang Rai from Bangkok Suvarnabhumi Airport (BKK) and Bangkok Don Muang Airport (DMK). Chinese Easter Airlines operates the only international route from Kunming in China.